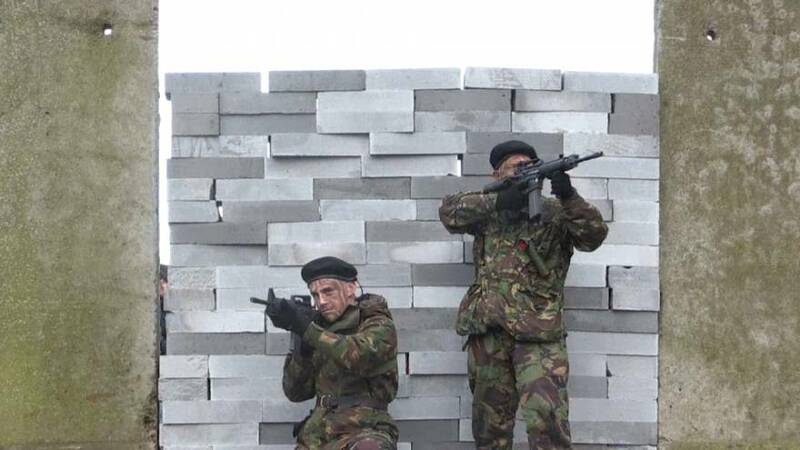 Mock soldiers armed with fake guns created a checkpoint on the Irish border as a warning to British Prime Minister, Theresa May, about the dangers of a hard Brexit. Hundreds of demonstrators were at the event during which they also demolished a temporarily-constructed concrete block wall, built for the protest. Anti-Brexit activist, Tom Murray, said: "It's the ordinary people of Ireland who won't accept the border, so whether they will physically attack a border or not I don't know. But they certainly won't accept one. "But the reality is that this isn't about breaking down the border, this is about reminding people not to impose a border." They claim a hard frontier could destroy the 20 year-old peace deal. Both the British and Irish governments have said they hope to avoid a hard border after Brexit but some analysts suggest that, if customs checks are introduced, security forces may be needed to protect them.